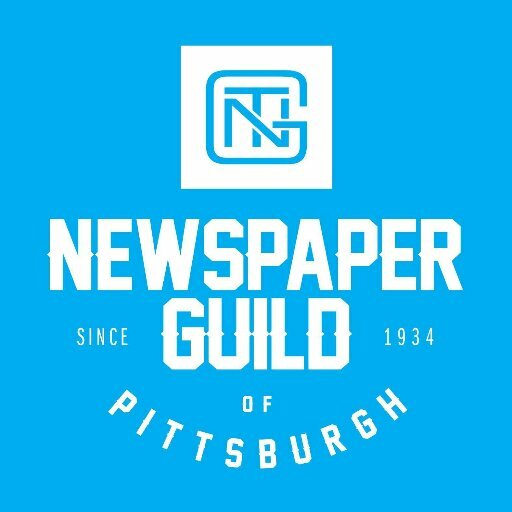 After much careful consideration, the Newspaper Guild of Pittsburgh has decided to release some of the eyewitness accounts of the incident involving Pittsburgh Post-Gazette Publisher John Robinson Block and his daughter that transpired on the night of Saturday, Feb. 9, 2019 in the paper’s North Shore newsroom. Our reason for doing so is solely to refute the false narrative presented earlier this week by BCI Chairman Allan Block — John Block’s twin brother — in his comments to NEXTpittsburgh, comments that, incidentally, were not provided by the company to the Guild. We are sensitive to the fact that this situation involved a minor, and we want nothing more than to protect her. It is without any pleasure that the Guild is releasing these accounts, and it is certainly not fueled by any animosity or ill will toward the Blocks. However, this situation played out in full view of more than a dozen journalists in their work place and cannot be ignored. There was no “unfortunate exchange.” Nothing was “misconstrued.” And there is no Guild member who feels that BCI executives “value” them. To blame John Block’s erratic, menacing and disturbing conduct on “financial and other challenges in the newspaper industry” is cowardly, despicable and a blatant lie. The Guild believes that John Block has personal issues that must be addressed before he is allowed to return to the newsroom and be around his employees, both for our safety and his. We are distraught over his interaction with his daughter and are highly concerned for her well-being. We are dismayed that Allan Block’s only response was to try to whitewash this incident and politicize it by blaming it on corporate financial stresses (we think it is no coincidence that we are mired in contentious contract negotiations and that Nashville attorney Richard Lowe, BCI’s representative at the bargaining table both in Pittsburgh and in Toledo, at our sister paper, The Blade, was brought in to advise BCI about this situation). We are disgusted that Allan Block did not immediately come to Pittsburgh and address the staff at the Post-Gazette about his brother’s conduct or, as far as we know, personally check on the welfare of his brother and his niece. And we are frustrated that as of this writing, the PG has not yet: 1) Provided crisis counseling for its staff; 2) barred John Block’s access to the newsroom; 3) sought to formally interview any of our members, as would be expected in any business setting where such a situation has occurred. These are accounts from four Guild witnesses who have authorized us to release their statements for attribution. They are free to comment further but will likely refer any requests to Guild President Michael A. Fuoco. As you will see, the accounts are consistent — as are the additional seven accounts in the Guild’s possession. Our members’ accounts also comport with the photographic and video evidence in the PG’s/BCI’s possession. For reference, Tim McDonough, a former Guild member, is a manager, as are Lillian Thomas and Virginia Linn. Sally Stapleton is the managing editor. Steve Spolar is BCI’s Vice President, Human Resources and Labor Relations. On the evening of Saturday, Feb. 8, 2019, John Robinson Block, the publisher of the Pittsburgh Post-Gazette, called into the newsroom (via the phone specially designated for his incoming calls) around 9:50 p.m. The manager on duty that evening, Tim McDonough, answered the phone, spoke to Mr.Block, then hung up and went downstairs to let Mr. Block and his daughter into the building through the front door and up to the 3rd floor. The two entered the newsroom around 10 p.m.
As Mr. Block stepped off the elevator and proceeded to walk briskly — in a slightly stumbling, awkward manner — through the newsroom toward the “web hub” area, he was immediately yelling about various topics, pointing and waving his finger repeatedly up in the air and swinging his arms. He was very angry and irate. The entire newsroom could hear his voice. As he got closer to the hub area, he walked straight to the Guild bulletin board, and pointed to and touched the Guild “Shame on the Blocks!” sign. It was clear he was intoxicated. Mr. Block yelled at Tim to immediately call Sally Stapleton, which Tim did and told Mr. Block that she was on her way. He shouted that he wanted a picture of himself and his daughter taken in front of the Guild sign and demanded it run on the “front page of tomorrow’s paper.” He fervently demanded the photos be taken NOW, right away and forcefully grabbed his daughter’s forearm, pulling her into the picture as she tried her best to pull away from him. She was crying, shaking and pleading with her father that she did NOT want to be in ANY photograph. She screamed, “Please, please Daddy, no!” multiple times. And multiple times he yanked on her arm, trying to pull to his side so a photo could be taken of the both of them. The photo editor on duty, REDACTED, snapped a few photos to placate Mr. Block as he continued to pull his sobbing daughter to his side. Mr. Block, through his threatening posturing and verbally abusive tone, appeared extremely annoyed and growing angrier by the minute that Sally had not yet arrived, despite Tim’s repeated reassurances that Sally was on her way. In his heightened agitated state, Mr. Block continued to walk back and forth in front of the Guild bulletin board and continued with his belligerent behavior. He did not and would not calm down: He repeatedly shouted out rude comments about various current and former managers, mocking them (saying some had “gone to the dark side”), the newsroom staff (what he called “the working class”), and his ex-wife, and bemoaned what he called a loss of millions of dollars on the part of the company. He yelled at his daughter, up to her face: “You’re a Block don’t you forget it. You’re a Block, you’re not one of them,” repeatedly as he firmly jabbed his finger into her shoulder. I started to shake. Other members of the staff were rattled and didn’t know what to do about the situation unfolding. During this time, I texted Guild officer Jonathan Silver to let him know what was going on and that staffers working that night felt threatened and that he should get down to the newsroom as soon as possible, if he could. Mr. Block continued pace back and forth as he railed against the newsroom staff, chastising them for the Guild sign and shouting that he will get rid of certain Guild officers. He continued to shout numerous insults and offensive comments about the managers and staff at his daughter, naming various specific individuals. At some point, I stood up from my desk and, putting up my hand, told Mr. Block “Stop. This has to stop.” He let go of his daughter, who he was holding firmly by the wrist as she was sobbing and stepped away for a bit. I sat back down. As I walked away with his daughter, she was visibly shaking and crying. I got her some water and we went back into the newsroom about 10 minutes later. I told her to sit wherever she’d like, pointing to areas away from her father, who was still standing near the Guild sign. She asked if she could sit near me. I said sure and let her sit at REDACTED’s desk near my desk. She was crying during the entire time she and her father were in the newsroom. Sally and Steve Spolar then showed up together in the newsroom and took Mr. Block into Sally’s office. He continued to yell and at various times asked Steve for his resignation. A shouting match ensued. His daughter was also in the office. Guild officers Jonathan Silver and Mike Fuoco arrived in the newsroom around 10:50 p.m.
Sally and Steve were able to bring Mr. Block into the cafeteria area and crystal palace meeting room to calm him down. An Uber was called and he eventually left down the front stairwell with his daughter. I had just finished eating in the breakroom and was walking back toward the hub when I heard a lot of yelling and what sounded like someone pounding on the wall. I quickly recognized JR’s voice and walked around him as far as possible to avoid whatever was going on. But when I got back to my desk, I realized there was no avoiding the disturbing situation playing out in front of me. JR was ranting like a madman and his daughter was visibly terrified. Additionally, everyone in the newsroom was gawking at the travesty, unsure of what they should do. I know I felt horrible for his daughter, disturbed by whatever JR was doing, and utterly powerless to do anything about it. He was going crazy over the “Shame on the Blocks” sign on the guild bulletin board and demanded that someone take a photo of him and his daughter in front of it. She was screaming that she didn’t want to, crying hysterically and red-faced. I felt terrible about what I was watching. Then JR started ranting about guild leadership, Shribman and other managers. He said he was “going to get rid of the bad guys, Jonathan Silver and Fuoco and … Shribman! I fired David Shribman! I fired David Shribman!” He continued to rant about Shribman — he said Shribman went to the “dark side” — then he complained about John Craig, and how John Craig hated the Blocks. Thankfully, Marianne swooped in and took his daughter back to the break room to get a drink. He went off about the lack of managers in the newsroom on Saturday nights. (Apparently, he didn’t realize there were at least two there.) He said he wanted more managers there on Saturday night and at least 40 or 50 people working in the office on Saturday until 1 or 2 a.m. He said he was going to fire Virginia Linn and Lillian Thomas. He also talked about firing other managers — those were the only two names I heard specifically — but he ranted about how he wanted to get every trace of Shribman out of there. Meanwhile, he was slapping and kicking the wall near the “Shame on the Blocks” sign, and pounding his fists. Sally eventually coerced JR into her office, where the yelling continued, though I couldn’t hear what was being said. A few minutes later, Steve Spolar showed up and quickly got into a shouting match with JR at the threshold of Sally’s office. Steve told JR that he was in no condition to be in the office. JR told him to resign and said he was going to fire a new HR manager. At one point, I heard Steve yelling “Don’t touch me! Don’t touch me!” Then JR said “Then get out of my way!” and barrelled past him out of the office. I believe he shoved Steve’s arm to escape the office. Sally told me that JR “fired” Steve “about 50 times” while they were in her office. Eventually, Steve took his daughter back to the break room. (She had seen in Sally’s office for that whole ordeal.) JR and Sally went into the Crystal Palace, and although I couldn’t make out what was being said, I heard a lot of yelling. That’s when Jon Silver and Mike Fuoco showed up. And after another 20 or 30 minutes, JR left with his daughter. The incident was highly disturbing, and prevented many people from working for close to an hour. Marianne quipped to me that she couldn’t work as the situation was unfolding. Personally, I was horrified by what I witnessed. I was extremely concerned for his daughter‘s safety, and I actually noticed that my heart was racing. It was sickening and one of the worst things I’ve ever had the displeasure to witness, certainly in an office setting. Having to watch as JR terrorized his teenage daughter — with his hair disheveled and his face twisted — was something I’m never going to forget. I wish there was something I could have done, but I, like pretty much everyone else in the office, was stunned by what I saw. The commotion started around 10 p.m., I looked up to see John Block standing at the Guild bulletin board outside of Jim Iovino’s office, very animated and shouting. He said he wanted the ‘Shame on the Blocks’ poster taken down. His daughter was with him. She kept walking away from him and wandered around the desks bordered by the area where the sports stringers sit at night and Sally Stapleton’s and Linda Parker’s offices. He followed her, shouting about the Guild and how he had fired David Shribman for disloyalty, and John Craig for the same reason. Eventually he got his daughter in front of the same Guild bulletin board. At one point she appeared very distressed and I saw he had hold of her, with his arms around her waist, trying to pull her back in front of that bulletin board. She appeared to be crying and yelling and appeared doubled over as she tried pull away from him. She got away and Block remained standing at the bulletin board, shouting and slapping the ‘Shame’ poster. Marianne Mizera walked over to the sports desk, where I sit, near tears, and told REDACTED she was on the verge of calling the police. Things sort of calmed down when Sally Stapleton arrived, and really calmed down when Steve Spolar (who was called by Sally) defused the situation following a shouting match in Sally’s office. Here’s my account of what happened in the newsroom Saturday night. It was wild. A few minutes after we’d shipped the front page Saturday, a phone rang, and Tim McDonough answered it. I overheard Tim on the phone with somebody who was downstairs and unable to operate the door to get inside the building. Tim went down to let him in, and when he came back upstairs I saw that it was JR Block and his young daughter. JR immediately started yelling. He was angry that so few people were in the newsroom on a Saturday night. He was angry that Sally wasn’t working, and he yelled at Tim to get her on the phone and and tell her to be at the office in 10 minutes. The “Shame on the Blocks” poster upset him greatly. He said he wanted it torn down. He pulled his daughter over to it, and I heard him tell her that the message of the poster was directed at her, too, because she was a Block. Then he yelled for a photographer to take he and his daughter’s photo in front of the poster so he could run it on the front page. His daughter, who sounded scared and on the verge of tears, told him she didn’t want to be in the photo, and she tried to get away from him, but he grabbed onto her and wouldn’t let her leave. This went on until Tim said something to diffuse the situation. After that, JR paced back and forth in front of the poster. I could hear him punching and slapping the poster and the wall. He yelled again that he wanted the poster to come down. He said he’d lost $300 million on the newspaper, and then he said (I think to Tim) “Do you know how much money $300 million dollars is?” Followed by, “No, of course you wouldn’t.” JR yelled that the poster was all David Shribman’s fault. He said he’d fired Shribman for insubordination and because he was disloyal to the Blocks. He said he never should have hired Shribman. He said the previous editor, John Craig, never should have been hired. He said, “No man is more hated by the Blocks than John Craig.” He said next he was going to fire Mike Fuoco and Jon Silver. He said he’d close the whole paper unless we took down the poster. A little later, Sally showed up and spoke to him. They moved the conversation into Sally’s office, where he began shouting at her. That’s when Steve Spolar arrived. He went into Sally’s office, and he and JR got into a confrontation that spilled out of her office. Spolar told JR to go to his own office, but JR refused. Spolar told JR to leave the building and that he would call an Uber to take him home, but JR wouldn’t leave. After that, Sally, Steve and JR went into the Crystal Palace to talk, and things must have calmed down because I didn’t hear any more shouting. I’ve been working in newsrooms for more than a decade, and this is most bizarre thing I’ve seen. JR behaved in a way that would get any ordinary employee fired on the spot and escorted out of the building for everybody’s safety. He appeared totally out of control. He was loud and violent, and it was frightening to witness because he was so erratic. There was no way for anybody to know what he might do next.